(Note: Birth control issue has always been a bone of contention in the Catholic Church. It was made acute by the Encyclical “Humanae Vitae” of Pope Paul VI, which many Catholic Theologians question. During the last two Family Synods in Rome, there was even a call from Catholic theologians to recall that encyclical, not followed by majority of Catholics. If Holy Family had only one child, could it be that it was following the Chinese model? China is now doing a rethinking on it and allowing more than one child per family. India’s birth control publicity catch phrase and clarion call is: “ We are two, for us two!” and our present Pope, told Catholics in Philippines during his visit, that they should not multiply like rabbits. One principle on which all can agree on the basis of right reasoning is that families should produce only that many whom they can bring up properly taking care of their physical, moral and educational needs. Also the statement that procreation has to be the main God given purpose of marriage is seriously questioned. If so what about families in which one or both are sterile by nature? Are those marriages illicit or invalid? Should one continue to marry again and again until a child is produced following the old testament practice of a dead husbands brother marrying a widow without issue? That would be encouraging polygamy, not acceptable according to Christian teaching. So others argue that companionship and sexual enjoyment are equally or more part of the goals of marriage. As for poor people toiling the whole day in the burning sun, some cynics add wit and wisdom to the whole discussion saying: “For the poor, procreation is their only recreation.” Based on this Malthus advocated eradication of poverty and providing modern recreational facilities as the best means to prevent population explosion. 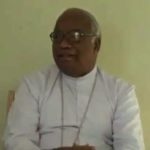 Idukki: Even as the call by bishop Mar Mathew Anikuzhikattil of Idukki diocese of Roman Catholic Church to boycott artificial birth control methods sparked protests from various people in the region as well as on the social media, the church has come out supporting the bishop's views. "One should not forget the fact that the basic purpose of marriage is to bear and raise children," said Fr. 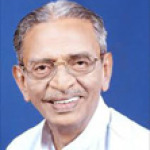 Jose Karivelikal, PRO of Idukki diocese said. 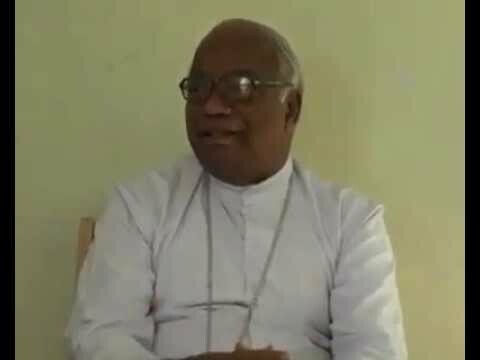 In his Christmas message, bishop Mar Mathew Anikuzhikkatil said couples who opt for artificial birth control methods were acting against God's will. The pastoral letter, which will be read at all churches under the diocese next Sunday said even during the time of migration to the hill state, when there was poverty all around, families did not think ofopting for birth control methods. Children are God's gifts and a fulfillment of God's promise. But many families, which have opted to throw away the gifts are now living in misery, bishop Mar Mathew Anikuzhikatti said in the letter. However, a priest has hit out at the bishop over his comments against birth control. In a Facebook post, Jijo Kurian said: "India has now over 20 million orphan children. Let us first give a life to these children and then think about giving birth to other children. The exploitation of natural resources has increased manifold due to population explosion. One need not increase population in order to spread faith." Standing by the bishop, the church PRO, however,said: "There is nothing controversial in the bishop's words. The church do not allow artificial birth control methods." Sterilization as a method for family planning came in for strong protest by women's groups at a consultation on the national policy for women on Thursday. The consultation held by National Commission for Women (NCW) is likely to recommend that women and men be given a bouquet of options for birth control. "There were protests against the burden of family planning being placed solely on women. We feel that there should be an improvement in lifestyle and a bouquet of services offered to men and women for birth control," Lalitha Kumaramangalam, NCW chairperson said. Among the other demands that arose during the consultations was the need for "portability'' in services. "Most migrant workers lose access to health, education and other benefits once they leave their homes since all such services are linked to their ration card,'' Kumaramangalam said. The commission plans to look at the feasibility of linking such services to Aadhar card so that the migrant labour continues to have access. Women's groups raised the issue of universal policy for childcare which would include nutrition, creche and other benefits. There were demands for access to technical, financial skills and sanitation facilities like cheap sanitary napkins, water and toilets. This was the third regional consultation held by the commission in Delhi after Mumbai and Hyderabad. Two more are planned in the coming days. "We also received demands that there is no audit or evaluation of government schemes. We are planning to do a gender audit in at least a few states,'' the chairperson said.